Brandon Wild is an assistant professor in the Aviation Department at the University of North Dakota (UND). 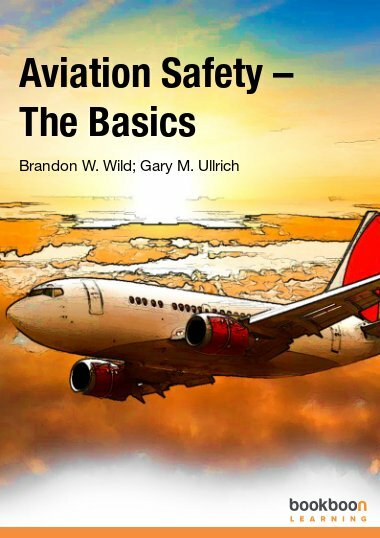 Currently, Brandon teaches the following courses: Aviation Safety, Airline Operations and Management, Aviation Insurance, and Aviation Safety Analysis. His research interests involve aviation safety, and he is currently working on a research project involving Flight Operational Quality Assurance (FOQA) and general aviation. Brandon is also the chair of UND’s Flight Data Monitoring Event Review Committee and a member of the FAA’s General Aviation Safety Issue Analysis Team (IAT). Prior to joining the faculty at UND, Brandon worked for over 15 years in aviation safety and airline management. He began his career as a Flight Safety Analyst at United Airlines from 1997-2000. Brandon Joined the United Parcel Service (UPS) Airline Safety Department as that company’s first FOQA Analyst, helping to create the UPS FOQA program in 2000. Brandon then joined the United States Aircraft Insurance Group (USAIG) in 2002 as an aviation underwriter. In 2004, Brandon became the FOQA Manager at Northwest Airlines and helped to upgrade the program from a test program to a fully functioning FOQA program. With the merger with Delta Air Lines, Brandon successfully led the effort to stand up the Delta FOQA program and integrate the Northwest and Delta FOQA Monitoring Teams into one FOQA team at Delta. During the period of 2005 through 2012, Brandon was also an adjunct instructor at Embry-Riddle Aeronautical University, teaching various aviation safety and management courses. Brandon holds a Bachelor of Science in Aerospace Studies and a Master of Business Administration in Aviation, both from Embry-Riddle Aeronautical University. Professor Ullrich is a tenured Associate Professor at the John D. Odegard School of Aerospace Sciences, at the University of North Dakota. Prior to joining UND, Professor Ullrich was a Test Group Pilot for FlightSafety, Adjunct Assistant Professor for Embry Riddle Aeronautical University, and Chief of Safety/Instructor/Evaluator Pilot with the United States Air Force. While working at FlightSafety, Professor Ullrich helped to create their ISO 9001 Program. Professor Ullrich joined UND Aerospace in 2006. In 2014 he helped UND Aerospace on their FAA-recognized SMS Level 3 status. He currently teaches Aviation Safety, Safety Management Systems (SMS), Aircraft Accident Investigation, Advanced Aerodynamics, and Long Range Navigation & International Procedures. Professor Ullrich is a commercial pilot with multiengine, instrument, and Boeing 720/707 type ratings.